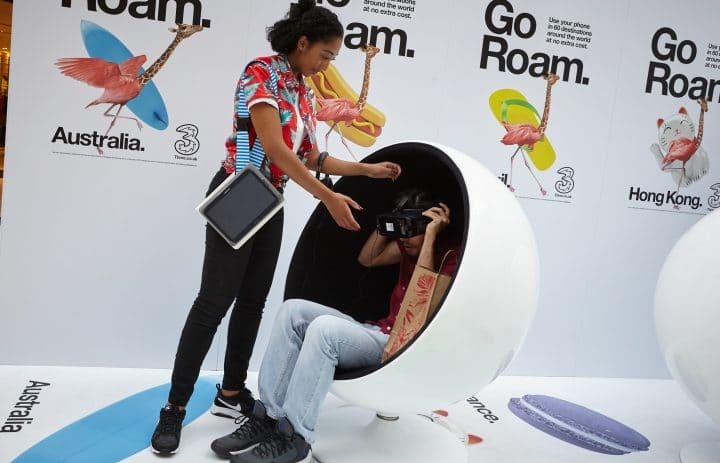 Ambient was tasked by mobile network provider; Three, to produce a VR experience as part of their wider ‘Go Roam’ campaign. 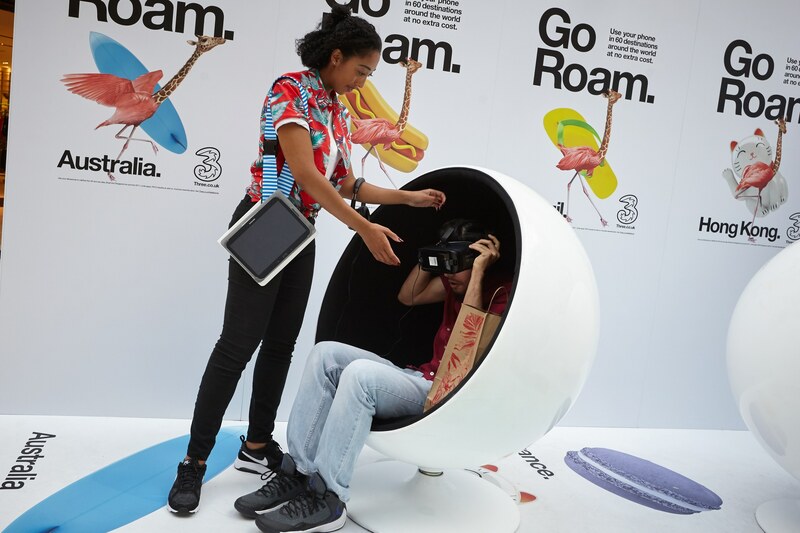 The experience needed to bring to life the brand’s unique ’Feel at Home’ positioning as the only network that allows its customers to freely use their mobile data at over 60 destinations across the world. 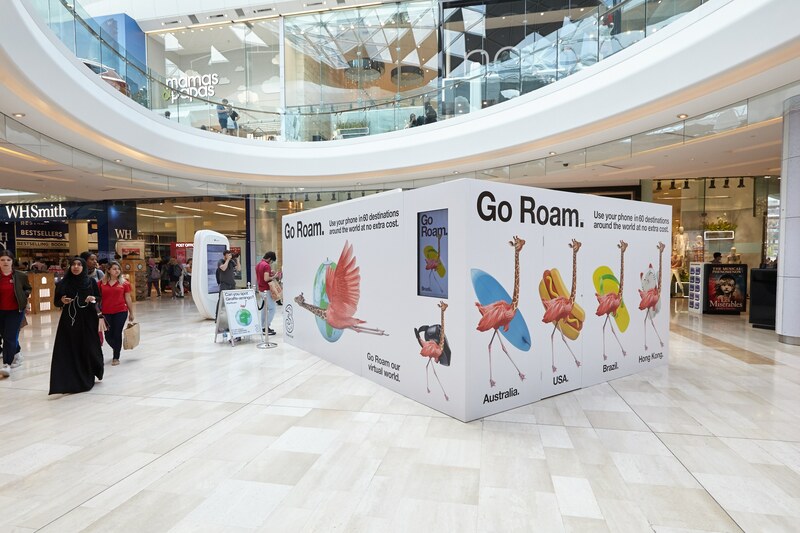 As part of the Three ‘Go Roam’ campaign, the brand launched a humoristic TV advert, introducing an entirely new breed; the Giraffe-Amingo (a cross between a giraffe and flamingo). 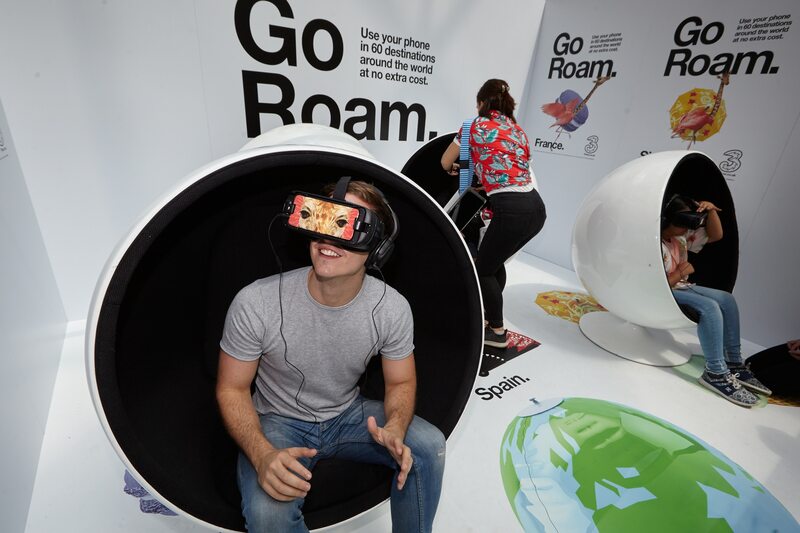 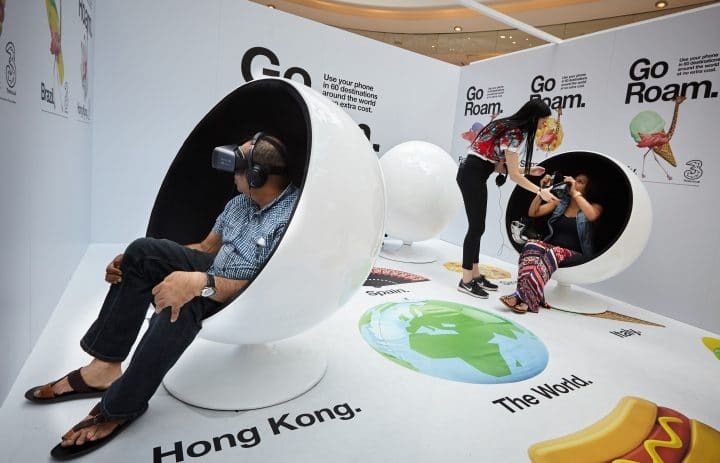 The experiential campaign brought the wider campaign and the Giraffe-Amingo to life by allowing customers to experience the stunning visuals from the ad through an engaging VR experience, taking users on a fun journey through holiday destinations across the world. 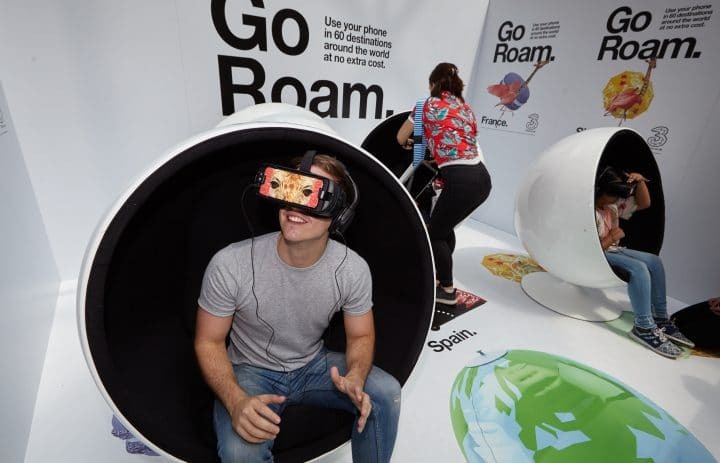 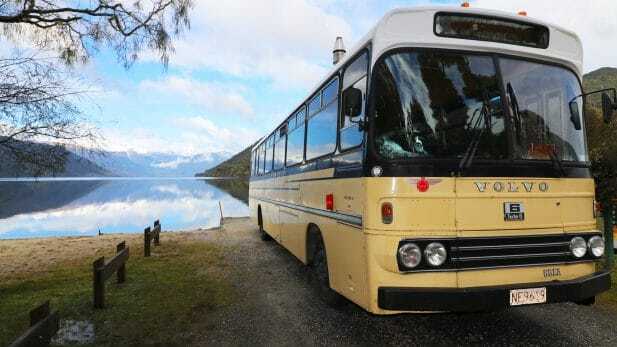 The experience illustrated the freedom and joy that comes with being able to roam for free when travelling abroad. 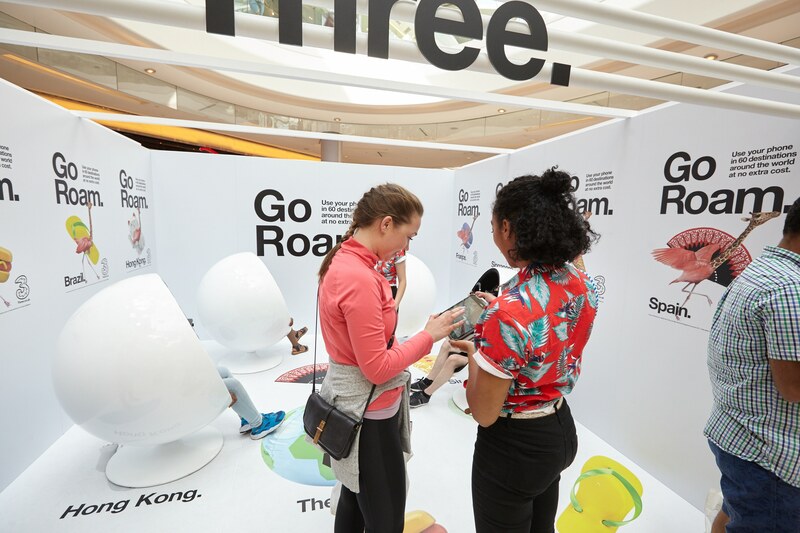 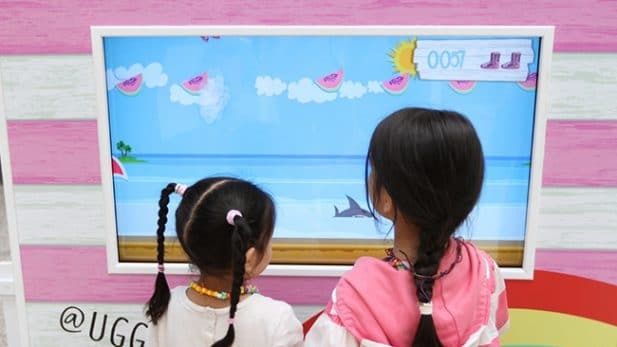 While engaging in the VR experience, participants were also challenged to count the number of Giraffe-amingos spotted, for a chance to win a Samsung Gear (VR3) and a Samsung Galaxy S8. 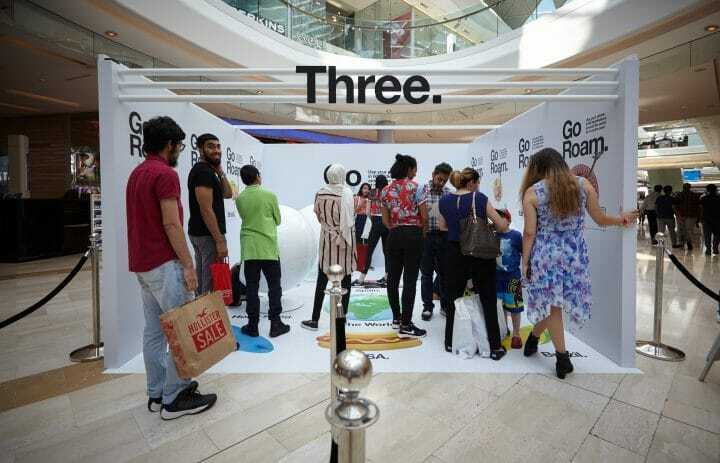 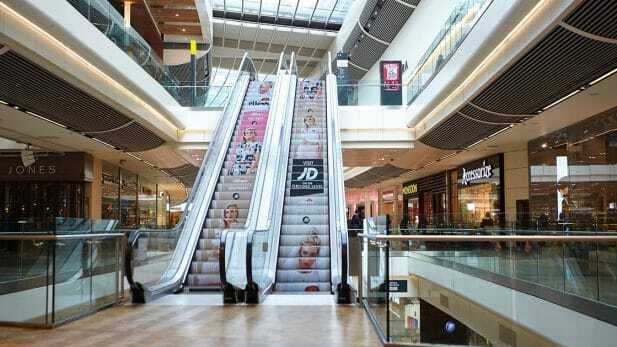 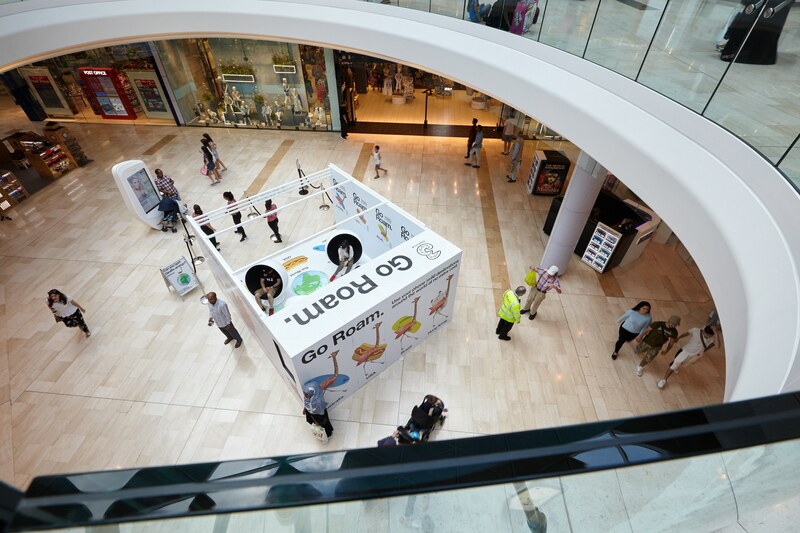 The activation took place over two weekends at Westfield London and Bullring Birmingham, engaging nearly 1,000 customers and over 400 people entered the competition. 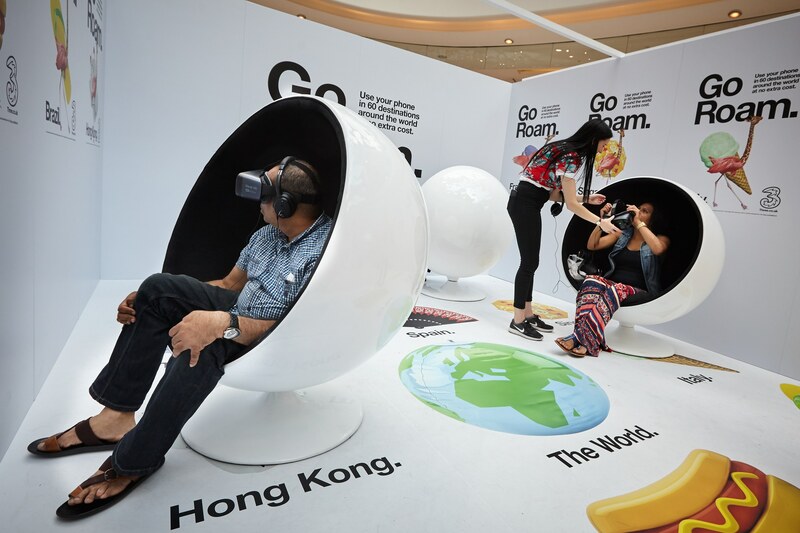 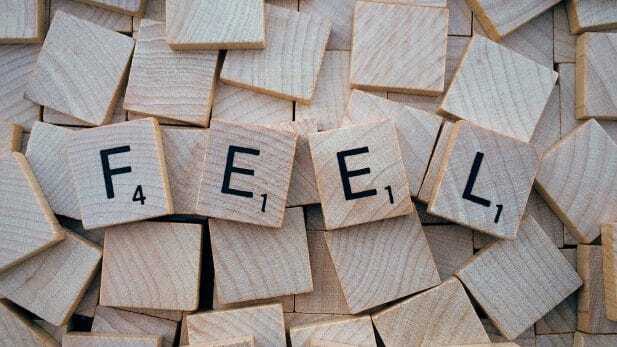 The experience marks an exciting and pioneering step for Three as they integrate real world and virtual brand experiences for maximum impact.